The 9-5 will be a crucial launch for Saab under its new owners,Koenigsegg Group. 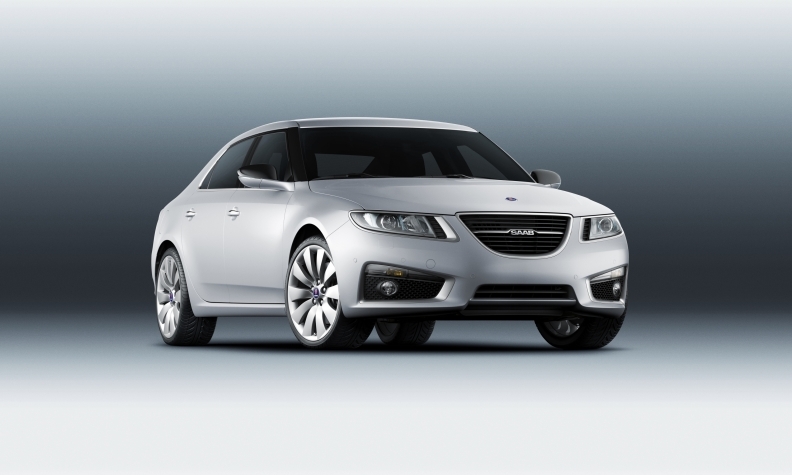 FRANKFURT -- Saab expects to get a strong sales boost from its new 9-5 premium car. Saab Managing Director Jan Ake Jonsson said the global sales target for the sedan and station wagon versions of the car is 40,000 to 50,000 a year. By comparison, Saab had total global sales of 66,582 units of its 9-5 and 9-3 model ranges in 2008. Due in European showrooms at the start of 2010, the 9-5 sedan will be priced to compete against the Audi A6, BMW 5 series and Volvo S80. In Germany, the 5 series starts at 36,800 euros, the A6 at 34,950 euros and the S80 at 32,280 euros. The 9-5 station wagon is due in early 2011. "The 9-5 is a great ambassador for the Saab brand," Jonsson said of the Swedish automaker's flagship. Gone from the new 9-5 is the key-operated ignition between the two seats. Saab drivers who love that feature need not worry because in the place of the key slot is a push button to start and stop the new 9-5. The 9-5 will be a crucial launch for the brand's success as an independent automaker under new ownership. In August, General Motors Co. reached a deal to sell Saab to Koenigsegg Group AB, a consortium of private investors that includes Koenigsegg Automotive AB, a tiny Swedish maker of $1 million super cars. The new 9-5 shares GM's Epsilon 2 platform with the Buick LaCrosse and Opel/Vauxhall Insignia, but the Saab version has a longer wheelbase and its own unique muscular, low-slung exterior styling and unique interior.